These baby blue drops will have your head in the clouds all day long! 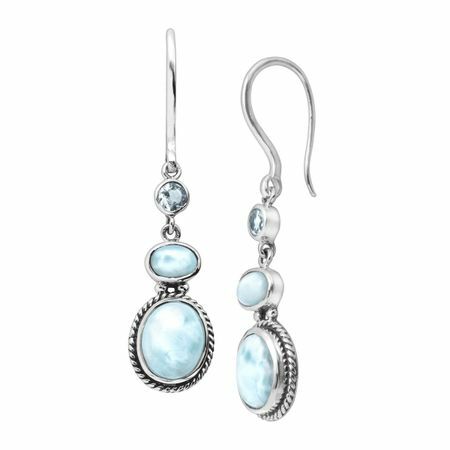 Marbled larimar suspends from a petite blue topaz stone in a sleek setting of sterling silver. Earrings measure 2 by 1/2 inches and feature French wire back findings. Pieces come with “.925” sterling silver quality stamps as symbols of guaranteed product quality.